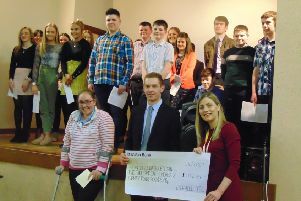 The heats of the popular YFCU public speaking competition have recently taken place. Supported for a number of years by NFU Mutual Insurance Society Limited, YFCU members had the opportunity to compete in two different categories: prepared and impromptu. The top competitors from each county will now compete in the finals of the public speaking competition which will be held on Tuesday 7th November at Magherafelt High School.